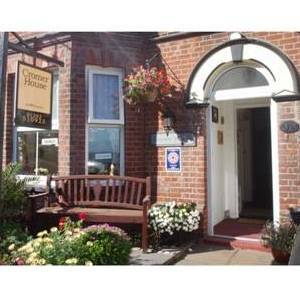 Cromer House B&B01263 510923work Guest Accommodation4 star rated and recently refurbished and decorated. 4 star rated and recently refurbished and decorated. All our rooms have complimentary tea and coffee making facilities. Ground floor twin en-suite room. Some rooms with side Sea View. Complimentary use of dressing gowns in some rooms. Towels and complimentary soap and shampoo are supplied. Satellite flat screen colour TV in all rooms Comfortable Rooms. Good Food. Welcoming atmosphere. This all adds up to a relaxing stay at Cromer House. Alfred Street is adjacent to Runton Road (sea front).